When I joined Coaching Business Bootcamp, my business was slowly moving forward but I was stuck. People were interested in what I was doing but it wasn't turning into new clients. I wanted to learn how to grow my coaching business and fill my client roster. My only hesitation was that I would sign up and not do the work. My life is busy and I often think I have more hours in the day than there actually are. But for some reason, I felt called to work with Greg and I have been engaged from the very beginning! Before signing up, I was excited but also a little nervous. I knew I would have go outside my comfort zone in order to do the work. Ironically, I have no problem going outside my comfort zone when it comes to running, but saying I'm a coach and marketing myself is a whole other beast! However, after just the first session, I felt inspired and energized, like I was finally learning the tools I needed to move forward. I learned so much and am still learning! Since working with Greg, I've grown my social media following and have added 5 new clients to my coaching roster!!! But by far the biggest game changer was getting clear on who my ideal client is. As a result, I've dramatically increased my confidence in my ability to market myself in an authentic way. 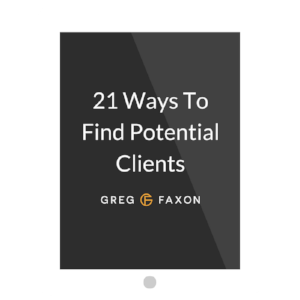 If you want to build a successful coaching business and fill your client roster, no matter what niche or industry you serve, I would definitely recommend working with Greg. His knowledge and energy is amazing and he was so engaged with each and every one of us in the program. You can learn more about Liz at runningonventi.com.